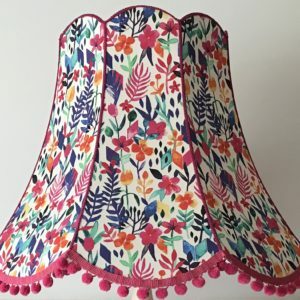 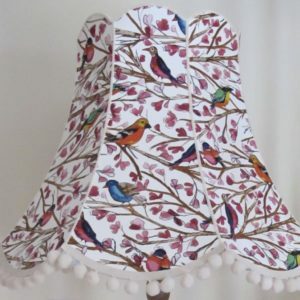 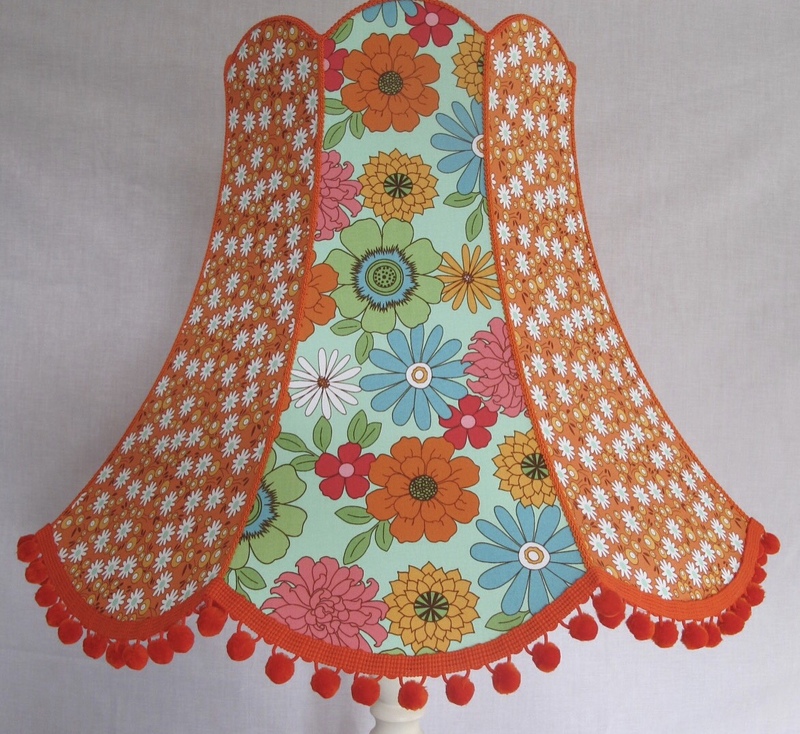 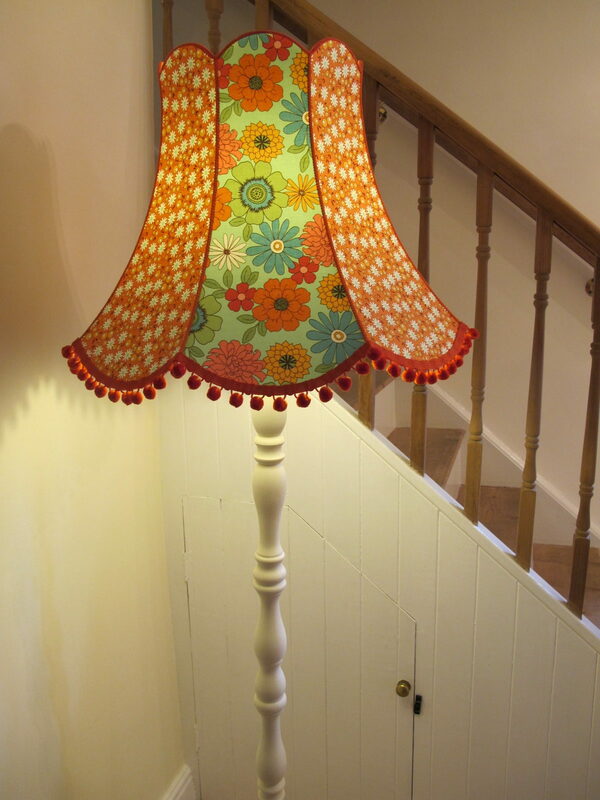 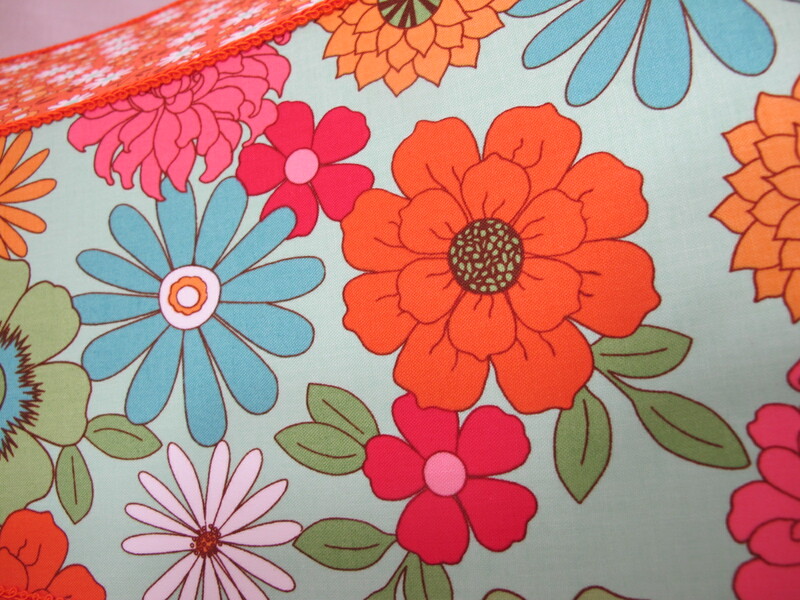 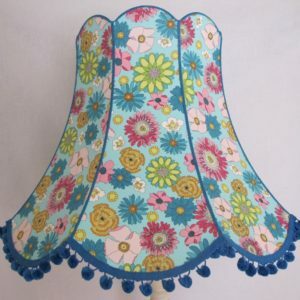 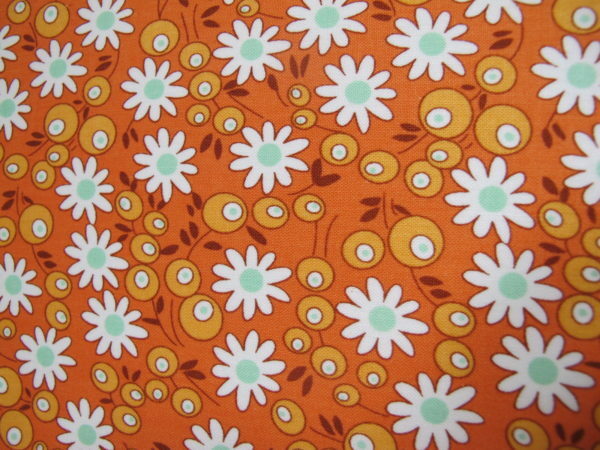 A colour palette of orange, powder blue, green and white combine to create this fabulous flowery lampshade. 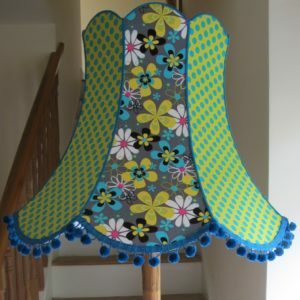 This will bright up any dark corner and is a real statement piece. 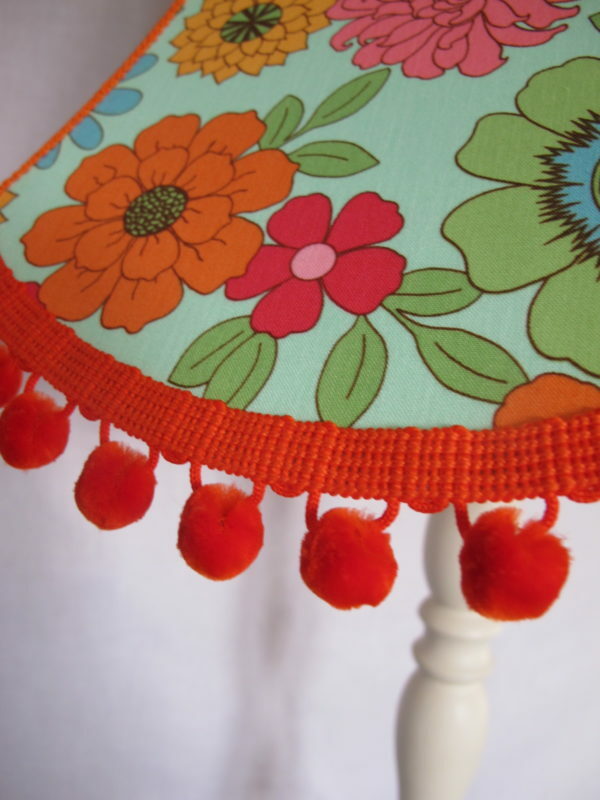 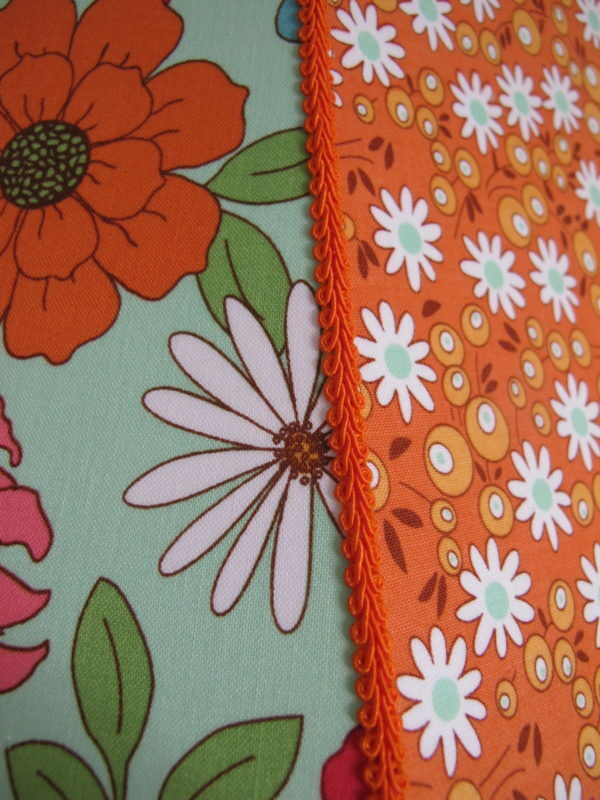 Edged with orange scroll braid and trimmed with Oohlala orange pom poms!